In a time when many financial experts are predicting another major correction in the stock market, there is a safe alternative to seriously consider; Fixed-Indexed Annuities. Now before you make a snap judgement (as many do when they see the word annuity) take a moment and find out just how much this program can provide in retirement. If you are like most retiree’s, you probably share the number one fear which is running out of money. 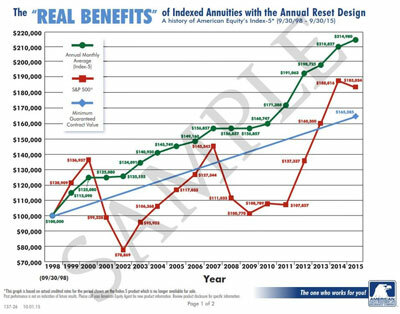 So let’s look at what a fixed-indexed annuity is and how it can benefit you. 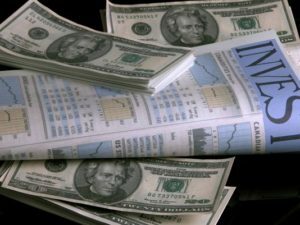 A relatively new financial option offered by insurance companies, the fixed-index annuity was created in 1994 as an alternative financial product to CD’s, mutual funds, and stocks. Participating in a fixed-index annuity offers tax deferred growth and a guarantee against loss of principal and options for gains when the market does well. Many life insurance companies that only offered variable annuities are now offering fixed-index annuities as a very attractive and safer option to their clients. Unlike variable annuities that invest in different mutual funds, the performance of fixed-index annuities are tied and mirror the performance of a single index such as the S&P 500. A safe investment, but with today’s all time low interest rates certificates of deposit are paying less than half the amount of a percent 10-year Treasury Bills which is less than 3 percent. With a fixed-index annuity, there is usually a guaranteed minimum rate of return. You can also earn a substantially higher return if the index does well. Diversifying through mutual funds does not protect you when the market declines. Mutual funds may be less risky than individual stocks but you can still lose money in a bear market as 401K plans dropped by more than 30% in 2008. Older individuals do not have time on their side in a volatile stock market to recover from losses and are hesitant to put their hard earned retirement savings into the market. The bear market that existed from the end of 2007 and into early 2009 may have also affected those who are younger to think about other options. 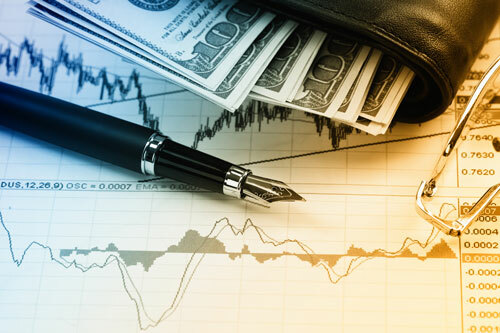 The goal is to preserve capital and a fixed-index annuity is an alternative to a risky stock market or mutual funds for anyone who cannot afford to lose money. Upon the purchase of this type of annuity the contractual agreement will guarantee that you will not lose any of your principal (and potential interest credits) and will usually have a minimum interest rate earned for every year while you hold the investment. Looking for extra money you want and need? An excellent feature of a fixed-index annuity (if you are tied to the S&P 500) is if the stock market and/or index should fall you do not lose any money in that year. Similar to a CD in a retirement account, a fixed-index annuity will not only earn you a base interest rate but also allows you to participate in the positive index returns. Typically, you only receive approximately 75% of an increase on an annual basis, starting from the purchase date of the annuity, but a substantial difference in earnings can still be made in that year. Based on the performance of the index, there may be a cap on the maximum amount of extra interest earned. Another great option of some fixed-indexed annuities are the Guaranteed Income for Life riders. For those individuals looking for income for life (similar to how social security benefits work), many programs offer a separate income growth option that is different from the cash value of the annuity, which can have a guaranteed interest rate of 7 to 10% on your initial premium or principle payment for up to 10 years. You then draw a guaranteed amount from that income growth (based on your age and if you have an individual or joint account) based on the percentage determined in your policy. A fixed-interest annuity makes sense for people who want to participate at a lower level of risk in the stock market without investing directly in the market. You will not earn as much as an index fund outside of an annuity in good markets but your money will be safe if the markets turn bad or bearish. In conclusion fixed-indexed annuities might be the best fit for anyone who is looking for financial gains from the upside of the market and cannot afford to lose a dime if the market has another major down turn (which many experts predict will happen). Life time income benefits are also very attractive in providing peace of mind in retirement.